Commercial Magnum® offers a higher level of weatherability and security for applications in outdoor, corrosive and caustic environments. Commercial Magnum® brings an extra measure of assurance for perimeter, equipment and vehicle security. 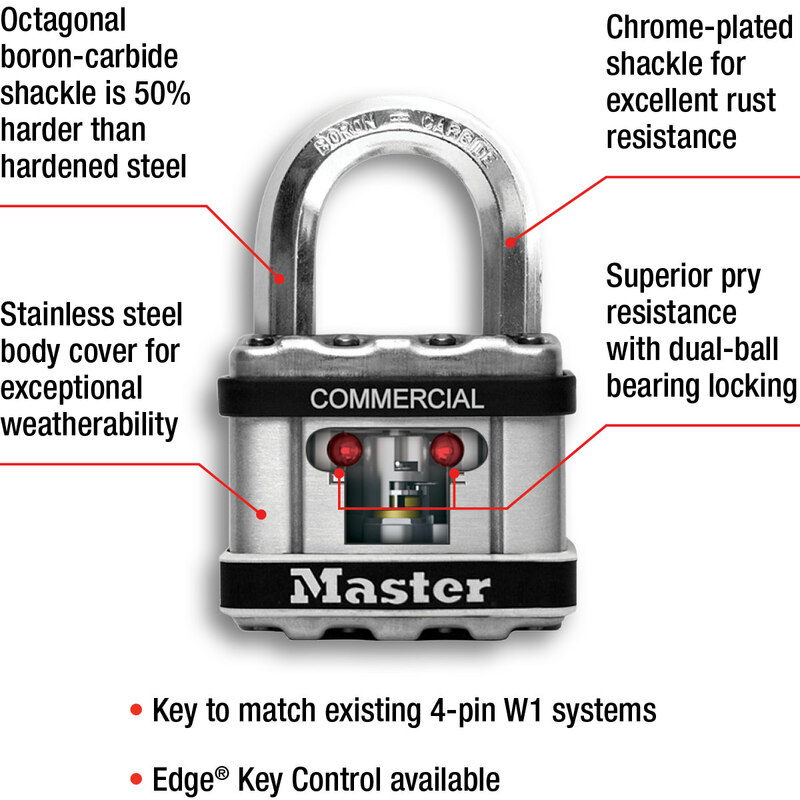 To withstand the elements, Commercial Magnum® is made with a stainless steel cover and a chrome-plated shackle. These durable padlocks extend use in any environment. The octagonal boron-carbide shackle is 50% harder than the hardened steel used on typical padlocks - which increases resistance to cutting and sawing. The dual ball locking mechanism improves resistance to pry and impact attacks.